3 min read . 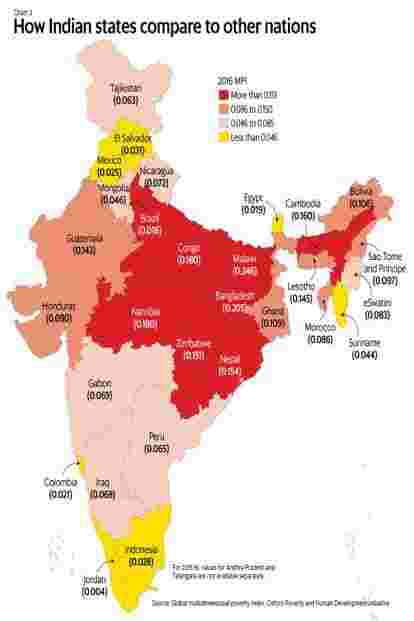 Updated: 30 Oct 2018, 06:50 AM IST Rukmini S.
Chennai: There’s very little evidence of convergence on social indicators among Indian states, new data on health, education and access to basic amenities between 1998-99 and 2015-16 shows. Over nearly two decades, the “BIMARU" states have remained at the bottom, while Kerala, Punjab, Goa and Delhi remain at the top. Bihar has remained India’s poorest state over the period. Prior to state elections these states, political leaders have sought to claim that because of their leadership, their state is no longer “BIMARU". While campaigning for Bihar in 2015 against the Janata Dal (United), or JDU, alliance, Prime Minister Narendra Modi declared that Rajasthan and Madhya Pradesh were no longer “BIMARU" and Bihar needed the Bharatiya Janata Party (BJP). Both Madhya Pradesh and Rajasthan’s chief ministers are currently campaigning on their states no longer being “BIMARU".